If you’re rooting for the Panthers, here’s a recipe for “Super CAM-Tastic Cookies” to include in your Super Bowl party spread. 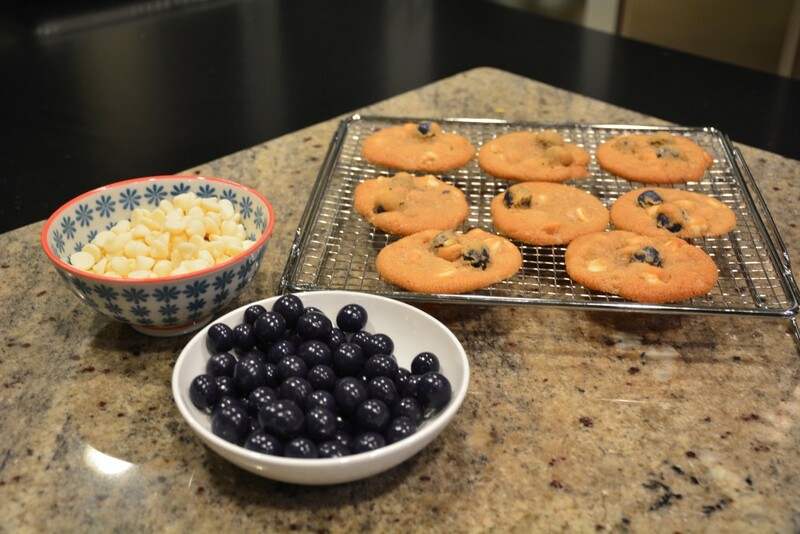 With a combination of white chocolate and blueberry, these cookies taste great and will color coordinate with your party decorations! Cream butter and coconut oil; gradually add sugars with electric mixer. Combine flour, soda, and salt in separate bowl, then add to creamed mixture, one third at a time. 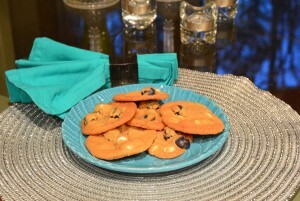 Stir in chips and blueberry candies. Shape dough into ping pong-sized balls and arrange on sheet, about 1 dozen per sheet. Bake for 12 – 14 minutes. Cookies will be soft; cool slightly on the baking sheet then transfer to wire racks to cool completely. Store in airtight container.